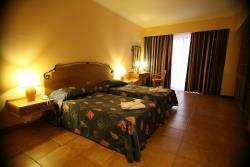 The Soreda Hotel is situated very close to the seafront in the popular northern town of Qawra. This locality forms part of the wider St. Pauls Bay area of Malta which also includes the neighbouring town of Bugibba. This popular tourist resort is known for its excellent shopping, leisure and dining facilities with options and possibilities for all ages. 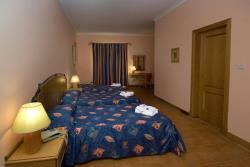 The Soreda Aparthotel is centrally located and is well positioned to enjoy the best of everything. The Soreda Hotel has a good local reputation for service and for its wide choice of accommodation ranging from standard hotel rooms to studios and apartments, The hotel offers a wide range of facilities to cater for all tastes and guests will also feel comfortable with the friendly staff who try to make everyone feel at home. All the facilities of the hotel are available to guests throughout the year making this hotel a popular choice during the cooler winter and spring months as well as the warmer summer and autumn months. The Soreda Hotel has some very comfortable lounge areas for guests who want to relax around the hotel during the day or during the evening, whilst the cafeteria and bar areas on the ground floor are a popular stopping point for lunch time snacks or to simply enjoy a coffee and take things easy. 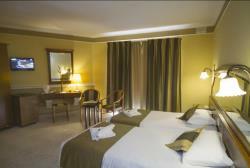 The Soreda Hotel has a number of inhouse facilities to keep any guest of the hotel occupied during their holiday. During the warmer summer months, the hotel has two outdoor swimming pools, one located on the roof terrace and one at ground level. 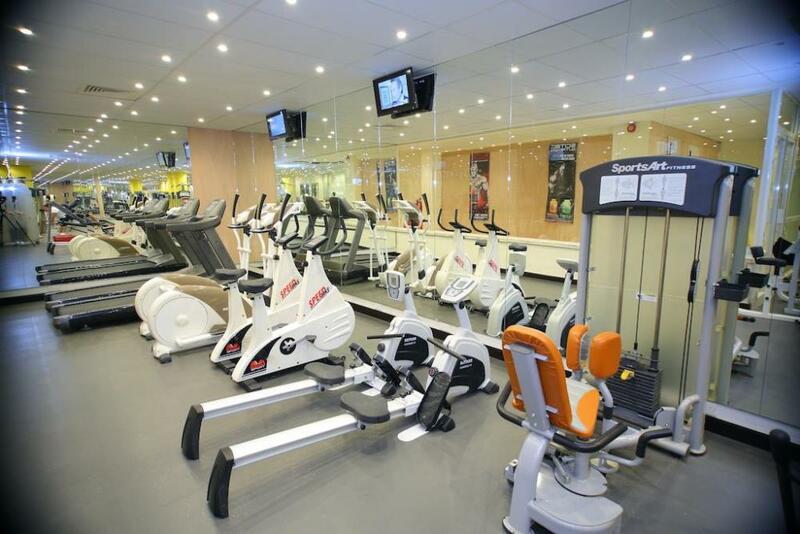 During the cooler winter months, a large indoor pool and wellness centre including a sauna, massage rooms and a fitness room is a popular addition to the hotel. There are lots of sun terraces around the hotel which are all equipped with complimentary sunbeds and sun shades. The Soreda Hotel has two restaurants for use by the guests of the hotel. The main hotel restaurant serves all meals from Breakfast through to full board in a buffet style whilst the second restaurant specializes in meals served A la Carte. A spacious lounge bar, games room, internet cafe, gift shop and TV lounge which incorporates a large screen for live sporting events add the finishing touches to this popular and well equipped hotel. On selected nights of the week, live music entertains the hotel guests. 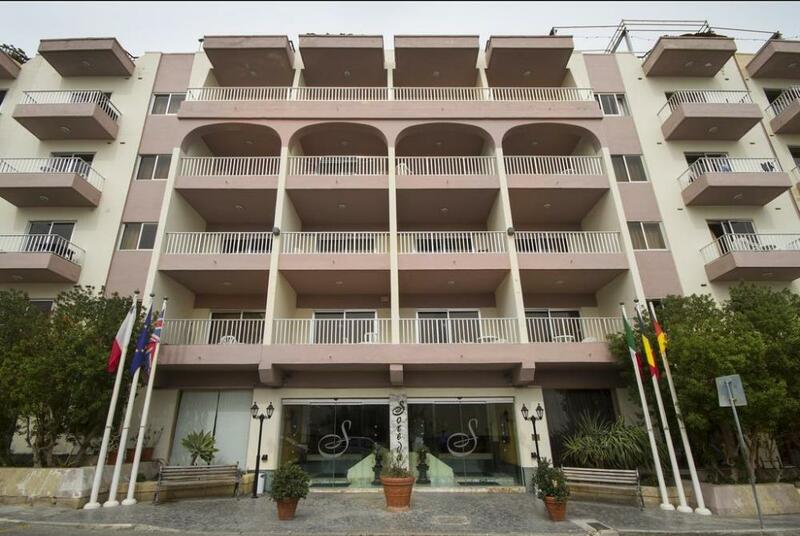 The Soreda Hotel is built on 5 floors and comprises a total of 193 guest rooms made up from a selection of hotel rooms and self catering studios or apartments. The accommodation at this hotel is presented in a light neutral decor with brightly patterned fabrics to give the rooms a homely feel. The furnishings in the rooms and apartments are all modern and each room opens onto a private balcony. 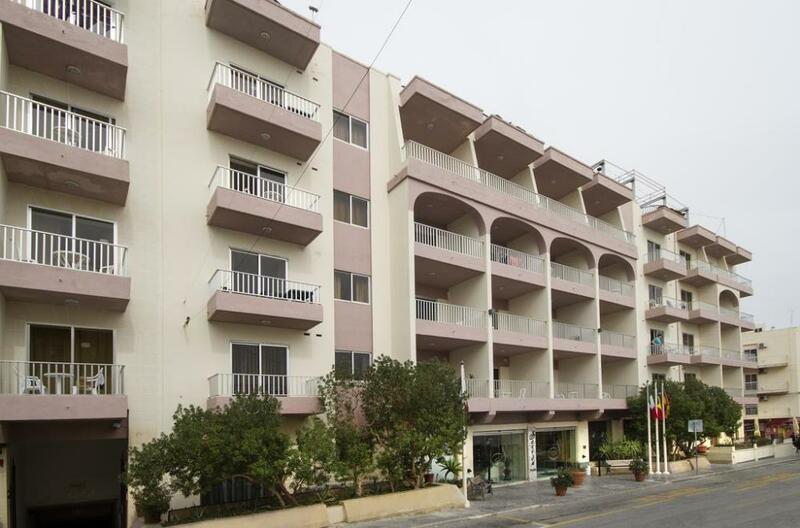 All Studio, One Bedroom & Two Bedroom Apartments have balconies and feature air-conditioning facilities, a fully equipped kitchen, satellite TV, personal safe, hair dryer, direct dial telephone and bath with shower. The One and Two Bedroom Apartments embrace a large and spacious sitting room. 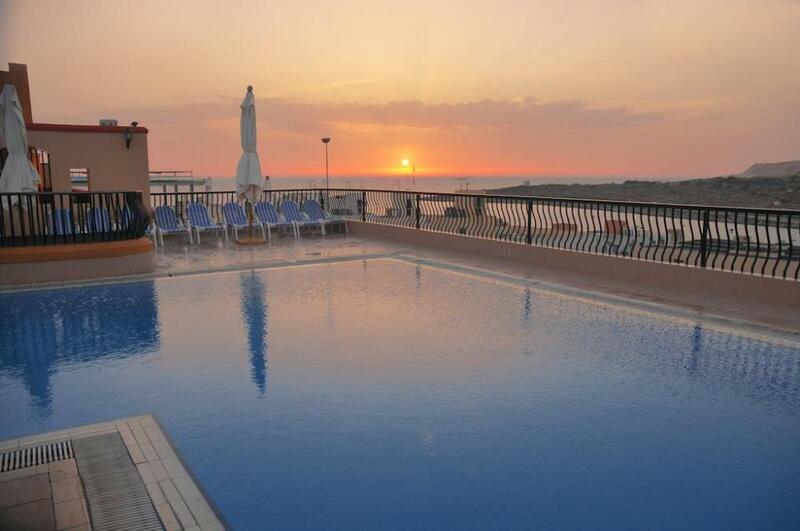 The rooms and apartments are carefully designed and each has excellent facilities to make the guest feel comfortable during their Holiday to Malta. Hotel rooms are booked with a minimum of Breakfast basis whilst the studios and apartments are booked on self catering basis although Half board and All inclusive is available to all guests. The areas of Qawra and Bugibba are both very popular for their varied dining opportunities with restaurants and menus to cater for all budgets. Small snack bar outlets are dotted along the coast line offering budget meals and drinks throughout the day, whilst the central areas of Qawra and Buggiba offer a wide range of A la carte and Al fresco restaurants serving cuisine from around the world. 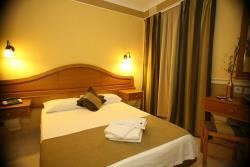 The Soreda Hotel is extremely popular and renowned for its excellent cuisine that is served to guests of this hotel. All meals, breakfast, lunch and dinner are served in the main 'Bayleaf' restaurant, whilst A la Carte options are also available in the hotels second restaurant. 'All Inclusive' is a popular option to guests who like to spend a lot of time at the hotel and who do not want to think about going out looking at local restaurants. The Bayleaf restaurant is open for lunch between 12:00 and 14:00 hrs, whilst the 'Terrace bar' serves snacks between 12:00 and 15:00 hrs. Tea & cakes are also available from the Terrace bar throughout the day between 11:00 and 17:30 hrs. Guests on all inclusive also have access to unlimited house produced beers, spirits, wines and soft drinks. On the day of check out, All inclusive is valid until 13:00 hrs. 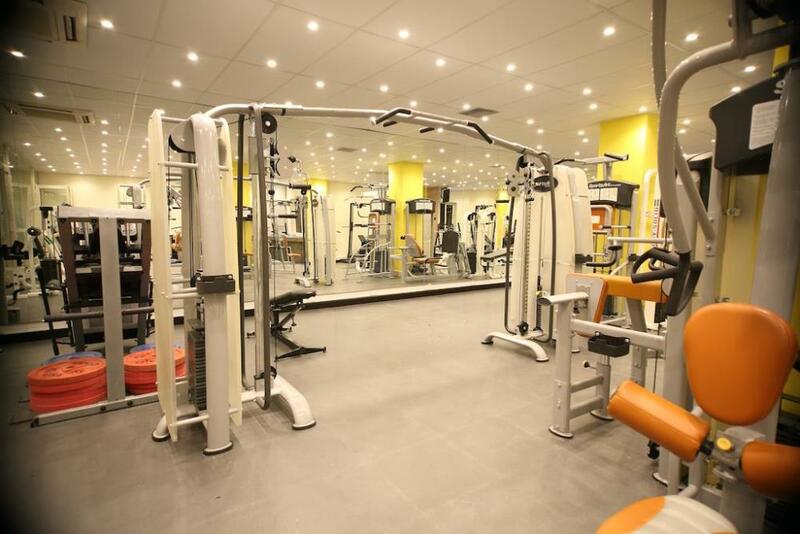 Guests on All inclusive also have free access to the gym, sauna and jacuzzi. Qawra, together with neighbouring St. Paul's Bay and Bugibba are Malta's largest seaside resorts. They offer plentiful accommodation ranging from self-catering apartments to hotel complexes and a variety of nightlife and leisure options. The coastline here has some wonderful open sea views and a vista across to St. Paul's Island, where, according to legend, the ship carrying the Apostle is said to have been wrecked. Standing prominently on the isle is a large statue of the Apostle commemorating this legendary event. The coastline promenade provides a long, though mostly level and easy walk from St. Paul's Bay all the way to Qawra Point, with its tower and views over Salina Bay. St. Paul's Bay started life as a small fishing village. The parish church of Qawra, dedicated to St Francis of Assisi, was designed by Maltese architect Richard England. Sandy beach - 5 km. Town centre - 500 meters. Bus stop - 300 meters. The two adjoining resorts of Qawra and Bugibba make up the wider locality of St Paul’s Bay, an area on the north east coast of Malta where St Paul is alleged to have been shipwrecked. Each of these resorts were purpose-built in the 1980's as tourist destinations and have continued to grow ever since. Bugibba has a small square which is very lively during the evenings with pavement cafes and Al fresco dining. There are also lots of shopping, leisure opportunities and nightclubs around these twin resorts. Swimming and water sports is extremely popular in Qawra and take place off the promenade and at the various lidos along the coast. Qawra point which is a short distance from the Soreda offers excellent swimming possibilities in a closed bay. Golden Sands - 5 km from hotel. Regular public bus from vicinity of hotel to beach. Sun beds - €3.60 per day. Sun Umbrellas - €2.50 per day.